Bear Creek Lodge, Historic Mile 1022 of the Alaska Highway. March 16, 2006 at 12:45. A few months after this photo was taken, in November, the lodge was closed forever when the owners declared bankruptcy following a government order to complete a $20,000 septic system upgrade. 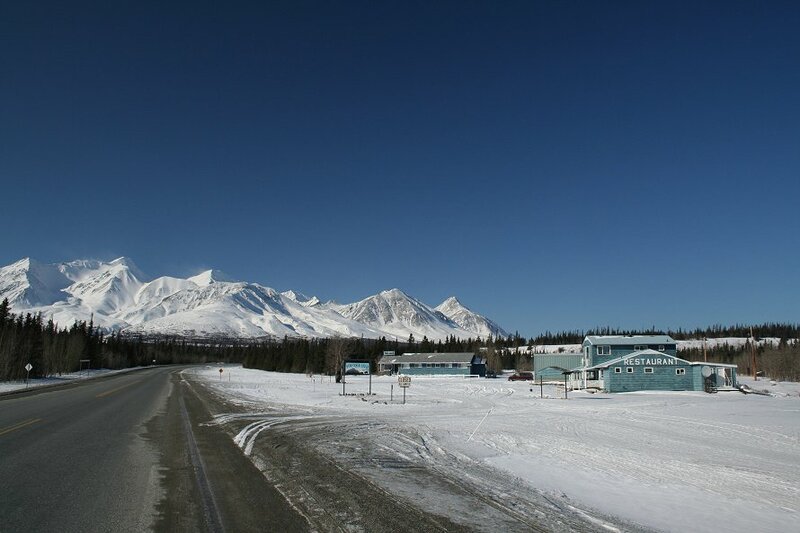 The sad reality of the modern Alaska Highway is that few travelers stop at these lodges anymore. This photograph is © 2006 by Murray Lundberg, and is not to be copied without express permission.